We don’t just believe that content is King, we believe that content is King, Queen and Prince of your digital marketing activities. Content Marketing is the most authentic, and often most effective, way to connect and engage with your audience. Your strategy should always begin with relevant, informative, original and shareable content which goes above and beyond its goals whether that is brand exposure, reputation building or an increase in conversions. If you’re looking for compelling content marketing services or copywriting, ExtraDigital can make your content shine, leaving visitors always wanting more. Our team of content marketers are the lifeblood of ExtraDigital and can help you to formulate a comprehensive and effective content marketing strategy for your business. Whether you need consumer-targeted content aimed at viral marketing and social sharing or high authority/technical content and online PR in order to establish your company as a leading authority in your sector. Our Inbound Strategy put your content at the forefront of your business communications, offering potential clients something of true value, incentivising them to take the next step a progressive sales funnel. We analyse your services and target audiences and create detailed personas. We then curate tailored content to resonate with those new audiences, highlighting your expertise and establishing your organisation as an authority in your space. Our partnership with HubSpot allows us to manage and highly tracks a leads progression through your sales funnel. 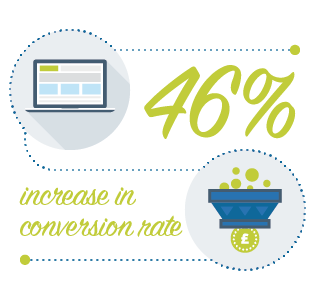 It also helps us to highlight at what stage potential clients are converting providing valuable metrics for future campaigns. Stop waiting for clients to approach you, and start the conversation with a valuable offering of advice and experience. In addition we can provide content in a number of languages either with translations from English or creating completely unique copy in your selected language. Whether its supporting in-house teams to reach out and connect or doing this on your behalf we have the expert skills to get your content seen and shared.